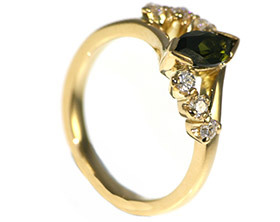 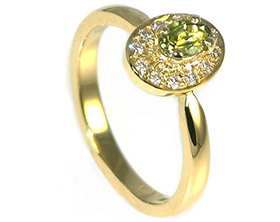 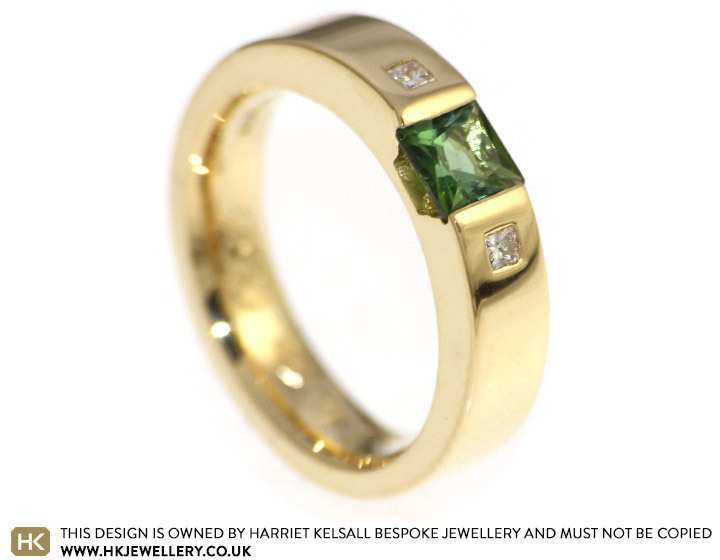 Vipul and Becky came into the Cambridge studio to design this unique handmade 18ct Yellow gold engagement ring. 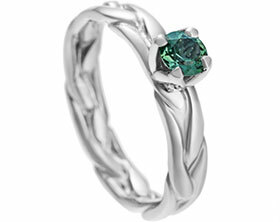 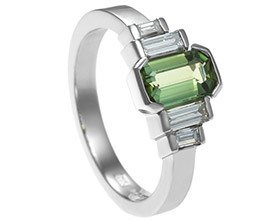 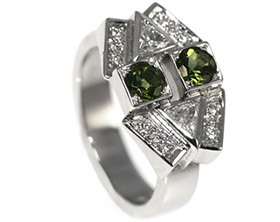 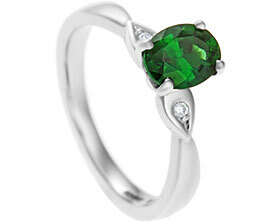 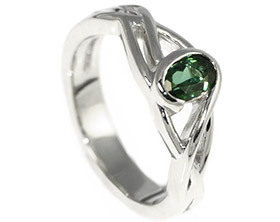 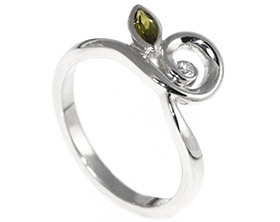 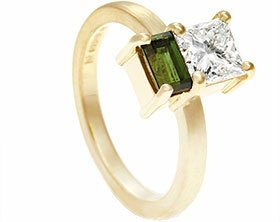 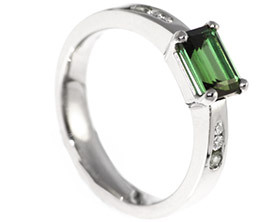 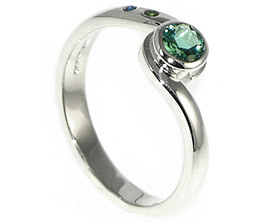 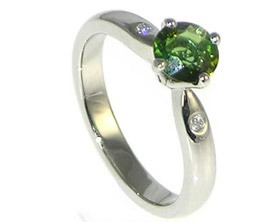 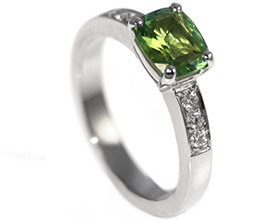 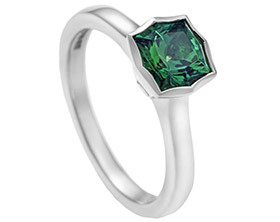 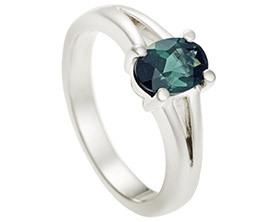 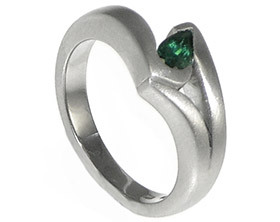 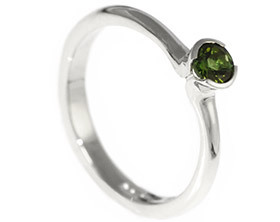 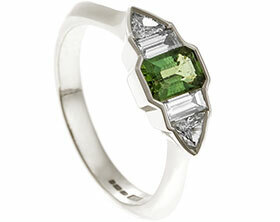 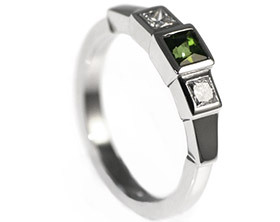 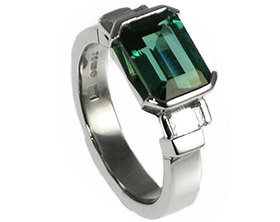 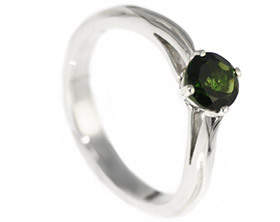 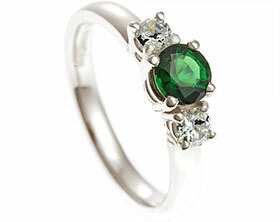 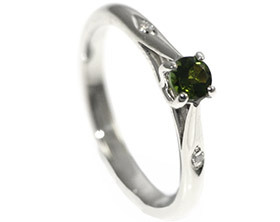 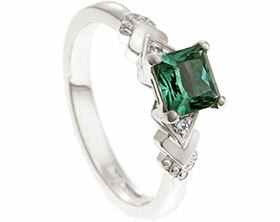 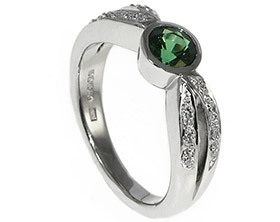 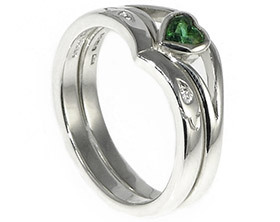 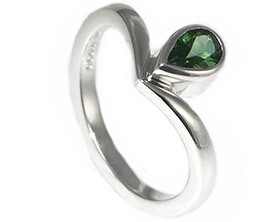 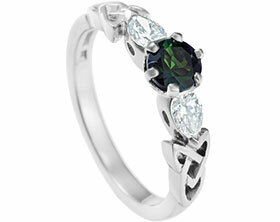 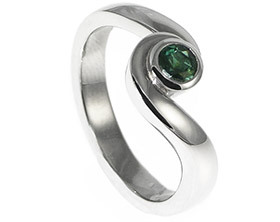 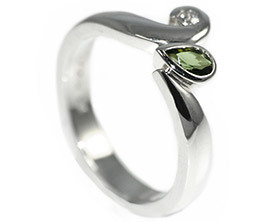 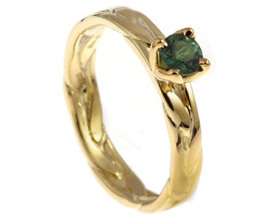 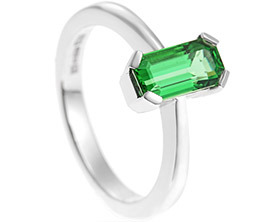 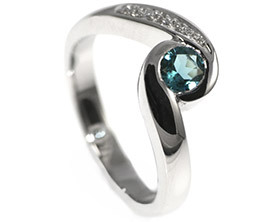 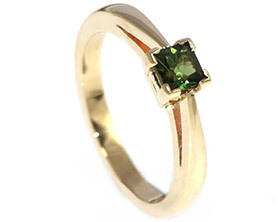 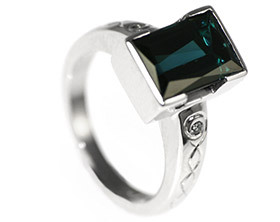 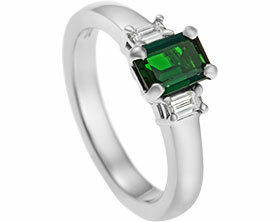 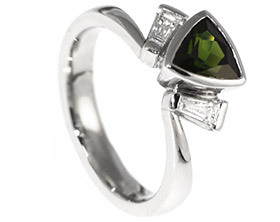 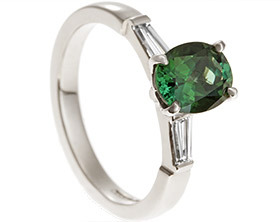 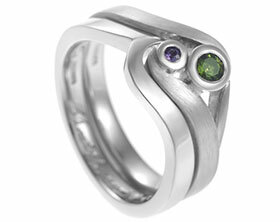 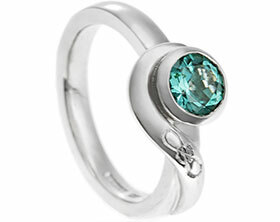 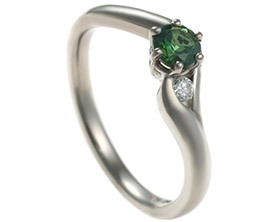 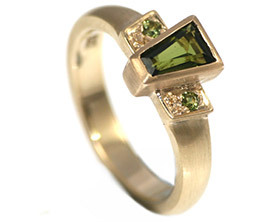 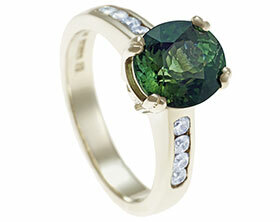 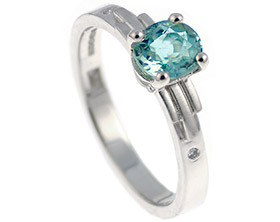 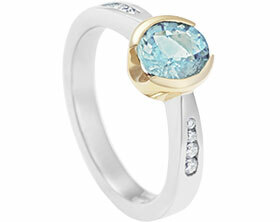 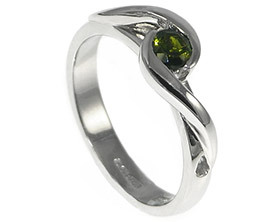 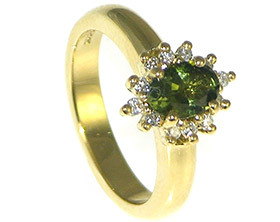 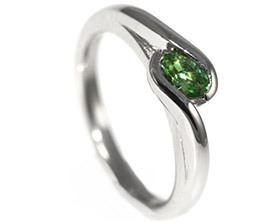 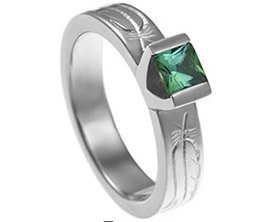 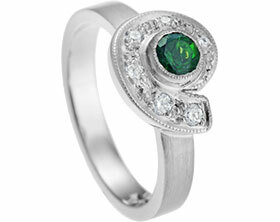 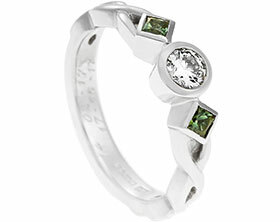 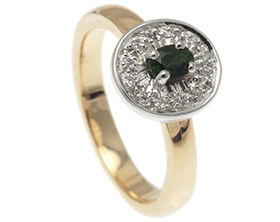 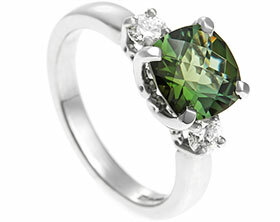 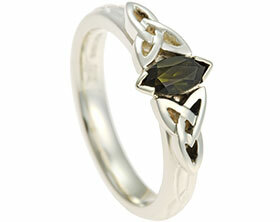 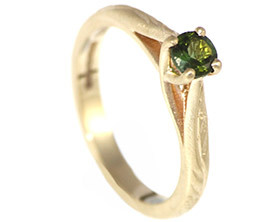 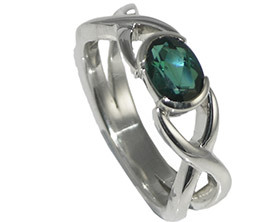 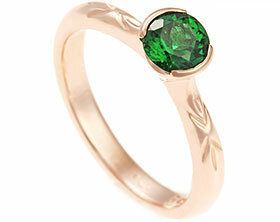 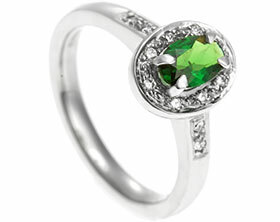 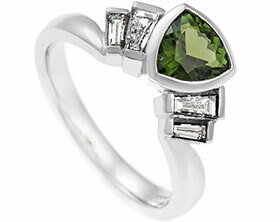 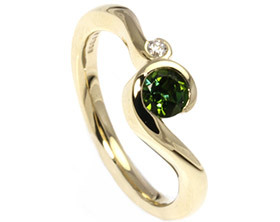 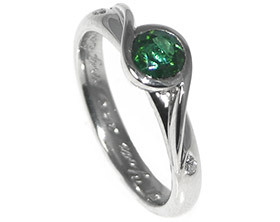 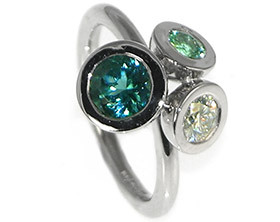 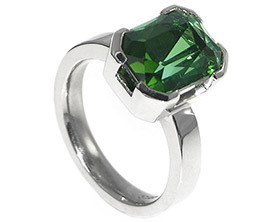 At the centre of the design is a 4mm 0.39 carat princess cut green tourmaline in a tension style setting. 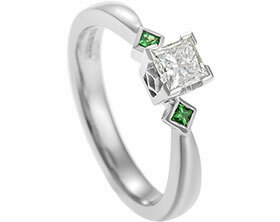 Two 1.5mm princess cut HSI diamonds totalling 0.02 carat have been invisibly set into the band which has a reverse D profile and a polished finish.